This year, commemorate Valentine’s Day the way it was originally intended-as a celebration of love. A gift of wellness is an amazing way to show love. Who doesn’t need to recharge and renew their body to keep up with the frantic pace of everyday life? Often, the simplest gifts can empower the people we love to carve out a little time to nurture and care for themselves. Think of all your friends and family who mean the world to you. What better way to show the special people in your life how much they are appreciated by you than with some much-needed pampering and a well-deserved massage. It’s so easy for you to give a gift of massage to promote overall wellness. For your convenience, purchase an Instant Gift Certificate here now by clicking on the link or call us at 843-723-7005. We are always here to assist you. Tantalize your senses with an unforgettable one hour massage using a blend of therapeutic aromatherapy essential oils derived from plants to affect your mood and alleviate stress. You’ll be irresistibly scented, nurtured and uplifted. Dissolve the day’s stress and renew your relationship with this relaxing and uplifting one hour massage in the same room side by side with two massage therapists. You’ll leave walking in step, hand in hand after you experience this romantic treatment together. Limited Time Special: $130.00 – A $160.00 Value for Only $130.00! One of the best strategies for your health is to erase stress. Over the past 20 to 30 years the area of stress management has become of great concern. Stress management and the use of healthy lifestyle choices to relieve it have grown together. Massage Therapy: Regular massa ges reduce the production of stress hormones, increases blood and lymph circulation and promotes the elimination of toxins that accumulate in the body. It can reverse the negative cycle of pain in your joints and muscles allowing you to experience a new level of vitality and well-being. Fitness Training: Fitness Training can act as a stress reliever. Being active can boost your feel-good endorphins and distract you from daily worries, rebuild and restore your posture, relieve pain, increase flexibility, strengthen and reshape your body. Health Coaching: Health Coaching provides guidance and support for issues related to health, nutrition and lifestyle. It’s about more than just your diet, it is about creating the quality of life you want by making sustainable changes in your diet, exercise routine, relationships, daily practice and career. It’s about improving your eating habits, achieving weight loss naturally, increasing your energy, shifting behaviors and beliefs that block your success, and increasing your overall vitality and happiness. Our professionals work together as a team to help you reach your personal goals. You may think you’re alone, but you’re not. At Charleston Therapeutic Massage and Wellness we are committed to empowering you by offering our healthy lifestyle choices that will effectively meet your needs and goals in a simple and easy process. We invite you to come experience what we have to offer. For more information, or an appointment, 843-723-7005. Ask how you can receive a FREE initial health discovery session. Thank you for all that you have given us as a client. we are offering a big holiday savings. of those you love the most in the world. It’s the perfect, thoughtful gift of relaxation! *Special Promotion Rules: Cyber Monday Special must be purchased by midnight, November 26, 2012. Limit 2 per household. Gift Certificates expire one year from date of purchase. Cannot be combined with other offers or specials. or to purchase a gift by phone. Lymph draining therapy, practiced throughtout Europe for decades, is a well-documented bodywork method of stimulating the lymph system to activate fluid circulation, detoxify, rejuvenate, and strengthen the body’s natural defenses. It is a highly specialized technique using precise, complex hand movements to encourage the draining of lymph fluids. Using slow, gentle stokes with a rhythmic pumping action, the therapist follows the lymph pathways throughout the body to move the flow of lymph and accelerate detoxification. In comparison, normal massage techniques are much too forceful to allow drainage in the tissues and may hinder transport. The therapy has been successfully used to alleviate conditions such as swelling (edemas) of many origins and chronic pain, as well as to detoxify and regenerate body tissues. It is also effective for stimulating the immune system to improve chronic infections and inflammation such as sinusitis, acne, chronic fatigue syndrome and allergies. Lymph drainage therapy is also beneficial for pre-surgery to prevent edema and speed the recovery process. Almost everyone can benefit from lymph drainage. It is a great treatment to boost energy and immunity especially at the change of seasons. We recommend receiving a lymph drainage treatment every 2 – 3 months for maintenance and more often in times of illness or need. Call us to find out more about lymph drainage therapy and to schedule your appointment. Neck problems have become a part of everyday life due to the overuse of computers, poor posture, improper fitness training, sitting for prolonged periods of time in one position, tight muscles, arthritis, upper spine and disc problems. Sitting in front of your office computer can weaken important muscles, leading to chronic back pain and other health problems. If you are working on a computer, make sure you take multiple breaks so that you can move your head, do some neck exercises, and change positions. This is really important to maintain neck flexibility. People with neck problems should avoid movements that hyperextend the neck. This can aggravate neck problems that can further cause impingement of the neck arteries that supply blood to the brain. Make sure your workstation is comfortable. You should have an ergonomic chair that has good back support and neck support. Your viewing distance should be 12 – 28 inches from the computer screen to prevent straining your neck muscles to see what you are typing. The top of your computer screen should be at or slightly below eye level when you are sitting comfortably. For most people the most comfortable neck position is when their normal line of sight is about 15 – 20 degrees below horizontal. The angle of your computer screen should be 10 – 20 degrees. The height of the keyboard should be 23 – 28 inches from the floor surface. Your thighs should be horizontal. Also avoid fast or jerky neck movements, sitting with your head too far forward, lying down on the sofa or bed with your head propped up high on the pillow, and head circles. For many individuals with cervical strains and other musculoskeletal conditions of the neck, it may be necessary to seek help for relief of neck pain with massage in conjunction with exercise. A massage therapist experienced and specializing in clinical cervical massage, stretching, and exercise is essential for pain relief, rebalance, and strengthening of your body. Note: Always follow your physician’s advice. The growing concensus amoung scientists is that small doses of presticides and other chemicals can cause lasting damage to human health, especially fetal development and early childhood. Scientist now know enough about the long-term consequences of ingesting these powereful chemicals to advise that we minimize our consumption of pesticides. The Environmental Working Group research has found that people who eat five fruits and vegetables a day from the Dirty Dozen ™ Plus 2 list consume an average of 10 pesticides a day. Those who eat from the 15 least contaminated conventionally grown fruits and vegetables ingest fewer than 2 pesticides daily. The data used to create these lists is based on produce tested as it is typically enten (meaning washed, rinsed or peeled, depending on the type of produce). Rinsing reduces but does not eliminate presticides. Peeling helps, but valuable nutrients often go down the drain with the skin. The best approach; eat a varied diet, rinse all produce and buy organic when possible. We are here to help you choose the most appropriate treatment or program for your particular needs and interests. Call 843-723-7005 now to speak with us to help you get started and take the first step to a healthy and vibrant life. Did you know we specialize in treating chronic pain and injuries? The majority of massage therapists are great, but very few have the thousands of hours of hands on experience, advanced training certifications for treating chronic pain and injuries, and effective successful treatments we can offer you. Call Charleston Therapeutic Massage at 843-723-7005 for more information or an appointment. Traveling Can Be A Pain, Literally! Long car rides, cramped airline seats, and lousy hotel beds can make you feel miserable while on that long awaited vacation. Being in a seated position for hours upon hours, improper position of the head, unlevel seated position, no lumbar support, dragging and lifting that overweight luggage, and too much physical activity can wreak havoc on your back, neck, spine, shoulders, hips, and legs. No one wants to be on vacation or return from vacation in pain! Seated Scapular Contractions: Sit up straight on the edge of your seat. Keep your feet and knees pointed straight ahead and hip width apart. Roll your hips forward to place an arch in your low back and hold throughout the exercise. Squeeze and release your shoulder blades together – back and down NOT up and down. Do 10 repetitions. Seated Knee Pillow Squeezes: Sit on the edge of your seat with your feet pointed straight ahead. Place a pillow between your knees. Roll your hips forward to place an arch in your low back and hold this position throught the exercise. Squeeze and release the pillow with your knees. Do 20 repetitions. Seated Isolated Hip Flexor Lifts: Sit up straight on the edge of your seat. Keep your feet and knees pointed straight ahead and hip width apart. Let your arms hang down at your sides. Roll your hips forward to place an arch in your low back. Lift one foot about 3 inches off the floor and then lower. Use your front hip muscles to generate the movement. Maintain the arch in your back, keeping your hips rolled forward throughout the exercise. Switch sides and repeat. Do 20 repetitions. 2. Pack a pillow. Use a neck pillow or rolled up blanket to support your neck. Do the same behind your lower back to support the lumbar spine. If you are staying at a hotel, you may find the hotel pillows are too big. Ideally you want to keep your neck in a neutral position while sleeping – aligned with your spine, not bent forward. Bring your favorite pillow from home or improvise your own pillow using a towel from the bathroom and folding it to look like a wedge shaped cervical pillow – the thicker part of the wedge goes under your neck while the thinner part goes under your head. 3. Lighten your load. Most of us are traveling with more than we need. Using luggage with wheels makes it easier to manage but when you are wheeling your bags and other items from your car to the airport check in counter or down long airport halls, this can become a potential hazard. 4. Stay hydrated. Be sure to drink water when flying. Being in the compressed air of the cabin can dehydrate you. Joint pain is one symptom of a lack of sufficient water in the human body. If you’re not a big water drinker you can meet some of your daily needs by eating fruits, especially watermelon, and foods like mixed green salads, eggplant, zucchini, cucumber, cottage cheese, green beans and tomato sauce. 5. Get a massage. Massage therapy can be used as prevention before, during and after travel. Take care of potential problem areas before they become a vacation buster. You may find you need to unwind after your vacation due to the transition of getting back to your daily routine of work, family and everyday stress. Can A Postural Assessment Help You Become Pain Free? When a person is suffering from pain, focusing attention on the muscles involved may offer relief. A practitioner may be able to help with massage and other bodywork techniques, but what may be missed is that the moment the client moves off the treatment table, gravity exerts force on the load bearing joints and pulls the body back into dysfunction and the problems return. When a client is lying down on a table this gives the practitioner some information. To obtain a full picture of all structural abnormalities, it is important to analyze the client’s total structure standing, lying down and moving. Your posture from all sides – the front, the back and the side – should all line up, both vertically and horizontally. If your posture is out of whack, you’re probably feeling it – in your knees, your back, hips, shoulders, and neck. Pete Egoscue, author of six books, including the best selling books, Pain Free: A Revolutionary Method for Stopping Chronic Pain, and more recently, Pain Free Living, developed a posture therapy method based on the understanding the body requires a healthy alignment of parts – from the head, to the shoulders, to the pelvis, to the knees, on down to the ankles and feet. If one shoulder rests higher than the other, something is wrong. The difference between Egoscue and other therapies is there are no drugs, surgery or cracking. Understanding what is happening in the body to cause it to be out of position and what muscles are controlling that position will help the practitioner develop a sequence of exercises that return the body to get back into the proper alignment. Trainers run into a lot of clients who have developed knee or back pain and don’t really know why. If you start training with weights and other exercises, you may become stronger with the same painful condition, and in some cases, the training can aggravate it. This eventually may lead you to stop training. This doesn’t have to be the end of your training days, you may just need to straighten and then strengthen. The first thing an Egoscue therapist does is assess posture, examine the walk, and watch how the client performs a range of motions to pinpoint the problem areas. Then a custom tailored physical fitness program is created that includes stretches and static strengthening exercises all aimed at correcting those postural deficiencies to get the body back into proper alignment and pain free. For more information about postural assessment and corrective exercises with Bill Baurley, Nationally Board Certified Massage & Bodywork Therapist, Certified Fitness Trainer, PAS (Postural Alignment Specialist – Certified by Egoscue University), please call Charleston Therapeutic Massage and Wellness at 843-723-7005. Do you want a fast, nutritious, delicious energizing meal that won’t wreck your diet? Whole real foods are a delicious and healthy way to jump start your day and your weight loss program. What could be more fresh than tossing a few raw super whole foods into your blender and enjoying a great tasting smoothie. Customizing your smoothie with super foods you enjoy and right for your body will leave you feeling energized and vibrant transforming your health from the inside to the outside. Virtually every health authority recommends that we get 6 – 8 servings of vegetables and fruits per day and very few of us actually get that. Smoothies are an excellent way to guarantee that we reach our daily target. Smoothies help you absorb all the nutrients from the vegetables and fruits. This is important because many people have impaired digestion limiting the body’s ability to absorb all the nutrients. Blending vegetables and fruits will help to “pre-digest” them for you so you will receive most of the nutrients. There’s no reason to be concerned with your ability to make a smoothie or if you will like it. No matter what degree of experience you’ve had with raw whole foods or smoothies, you will find it’s easy to consume an optimal amount of vegetables and fruits if you decide this is something YOU can and want to do. To make a tasty smoothie, you need to consider what you’re going to put in it. Be careful not to go overboard with fruits as for some people fruits can cause disturbances in blood sugar creating an imbalance. Only you know what it’s going to take to push your limits. Blending your own smoothie will help you to avoid the high sugar and processed smoothies offered at stores. Have fun making your smoothie and gradually add new foods. Don’t be afraid to add greens; they are the closest thing to a multi-vitamin that you can eat with plenty of healthy energy boosting polyphenols. Eating fresh greens in a salad is not your only option to incorporate greens into your diet. Many of my clients tell me they dislike the taste and smell of greens. If you are not a fan of greens, try spinach in your smoothie. It has a mild taste that you won’t taste when mixed with the sweetness of fruits. I like to combine spinach with blueberries or banana. Dark leafy greens like kale blended with banana tastes exactly like a banana smoothie. Honestly, you can’t taste the greens! Be creative and find your favorite combination. It’s best to rotate your greens and fruits to get the nutritional variety your body needs. A few super foods such as chia, hemp, coconut oil, almond butter, avocado, goji berries, nuts, and seeds can be added to help regulate hormones and provide healthy fats and proteins. I like to add cilantro because it has been shown to be a highly effective and natural solution to ridding the body of heavy metals. In case you’ve never made a smoothie before, start with just two ingredients: ripe bananas and fresh spinach (or Romaine or leaf lettuce). Put your banana in the blender, add a bit of water and blend until they are combined. Then add a really large handful (or two) of spinach and poke it down into the mixture and continue blending. Blend long enough that it’s not chunky. Start with the softest ingredients first. Add one handful of greens at a time. Poke down and mix in the greens first on slow speed. Once they’ve been sucked down, use a higher speed. Sometimes adding a little bit of water at the bottom and some ice on top of the greens can help. Blend all ingredients until smooth. Add more liquid if too thick. We understand how overwhelming the process of learning new information can be. Even if it makes sense it is a huge undertaking to transform a lifestyle. We would like to support your intentions of being healthy and happy. We are here to help you choose the most appropriate treatment or program for your particular needs and interests. 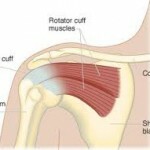 People with shoulder dysfunctions and injuries suffer constant pain, interrupted sleep and loss of range of motion. Postural strains often create an imbalance in the shoulder muscles making you prone to injury. Postural strains can be caused by frequent computer use, driving and carrying a heavy bag. 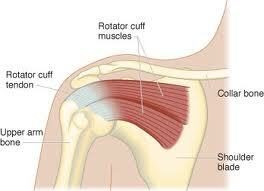 Shoulder tendonitis or shoulder bursitis refer to the condition that causes inflammation around the shoulder joint. This inflammation begins when there is an injury to the structure. The longer there is inflammation present the worse the pain gets. As time goes on the shoulder will become stiff and more painful. Shoulder pain relief can encompass several different approaches. Initially you need to address the source of the pain. Is your shoulder pain from tendonitis, bursitis, frozen shoulder, muscle tears, cartilage tears, instability or muscle imbalance? If you have already been evaluated by your doctor and you are not experiencing the relief you want then you may want to explore therapeutic massage and corrective exercises. Researchers at Auburn Hospital and Concord Repatriation General Hospital in Sydney, Australia, found that soft-tissue massage improved range of motion, reduced pain and improved function in people with shoulder pain. Corrective exercises, ice and pain relieving lotions can be part of your self-care routine. Rest, ice and pain relieving lotions are some effective methods in helping relieve shoulder pain. Look for a lotion with at least one pain-relieving ingredient, such as Arnica, wintergreen, menthol, or a Chinese herbal blend. A full posture analysis can determine muscular imbalances and dysfunction. After your imbalance is determined a customized program of corrective exercises can be designed to improve your posture, function and balance. The top three causes for shoulder pain are poor posture, weak muscles and engaging in an intense sport on an occasional basis. Doing so without stretching, corrective posture exercises, warming up before engaging in sports activities and strengthening your muscles can cause strains, sprains and tightness. At Charleston Therapeutic Massage and Wellness, we work with clients who are struggling with pain. We help them by significantly relieving pain and inflammation with therapeutic massage, corrective posture and fitness exercises, and healthy lifestyle coaching. Give us a call at 843-723-7005 for more information. What Mother doesn’t love massage? 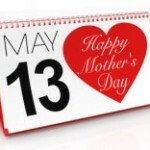 We all know that moms are natural nurturers and love their children without measure. But in reality motherhood comes with unexpected challenges and frustrations that carry stress along the way. 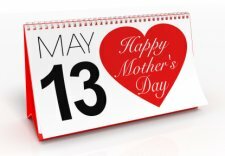 Give Mom a 1 Hour Tranquility Massage this year. It’s the perfect, thoughtful gift of relaxation. Must be purchased by midnight May 13, 2012. For more information or an appointment, call Charleston Therapeutic Massage at 843-723-7005. This month we’re highlighting low back pain (LBP) – one of the most common musculoskeletal problems in modern society. Seventy to eighty five percent of the population will experience LBP at some time in their lives. Back pain can interfere with work, routine daily activities and recreation. Most acute back pain is mechanical in nature – the result of trauma to the lower back. Symptoms may range from muscle ache to shooting or stabbing pain, limited flexibility and/or range of motion, or an inability to stand straight. Occasionally, pain felt in one part of the body may “radiate” from a disorder, misalignment or injury elsewhere in the body. A full postural assessment can help determine if posture imbalance is the cause. The way we use our bodies through physical demand, repetitive motion and even lack of motion can cause our posture to become unbalanced. This deviation from our functional design causes musculoskeletal compensation and pain. Ice and heat (cold and hot compresses) may help reduce pain and inflammation and allow greater mobility for some individuals. As soon as possible following trauma, apply a cold pack or a cold compress (such as a bag of ice or a bag of frozen vegetables wrapped in a towel) to the tender spot several times a day for up to 20 minutes. After 2 to 3 days of cold treatment, you should then apply heat (such as a hot pad) for brief periods to relax muscles and increase blood flow. Warm baths may also help relax muscles. Massage therapy has been found to be especially effective for individuals with low back pain. Clinical research has shown that massage therapy has benefits for many serious medical conditions. Massage therapy alleviates pain and aids in the healing process. A study published in the Annals of Internal Medicine supports massage therapy as producing better results for low back pain than other therapies, including acupuncture and spinal modification. Massage for low back pain was more likely to work when combined with exercise and education. Thirteen randomized trials (1596 participants) assessing various types of massage therapy for low-back pain were included in a review. In summary, massage is beneficial for individuals with sub-acute (lasting 4 to 12 weeks) and chronic (lasting longer than 12 weeks) non-specific low-back pain, especially when combined with exercises and education. (Furlan AD, Imamura M, Dryden T, Irvin E. Massage for low-back pain. Cochrane Database of Systemic Reviews 2008, Issue 4. Art. No.:CD001929.DOI:10.1002/14651858.CD001929.pub2). The best thing you can do for your pain is to talk with us about your specific needs and goals. Our staff of extensively trained and experienced professionals will assist you to reach your goals in our nurturing stress free environment. Valentine’s Day is Tuesday, February 14th! Don’t panic, we’ve got you covered. Show that someone special how much you care this Valentine’s Day with our holiday special, Romance For Couples Massage. This couples massage is about the shared experience with someone you love. There’s no better way to say I love you than with this heartfelt gift. Everyone on your Valentine’s list will love The Royal Treatment Massage. If you’re looking for the ultimate relaxation gift, The Royal Treatment Massage is the perfect match. These special Valentine’s Day massages are available for purchase until midnight, February 14th, 2012. You can purchase and personalize an Instant Gift Certificate online (see links below), then email or print and you are done. It’s that easy! For more information, or an appointment, call Charleston Therapeutic Massage and Wellness at 843-723-7005. Everyone will adore this one hour massage experience. You don’t have to wait for a special occasion. At this affordable price, buy one for yourself and purchase another as a romantic gift for someone special in your life. February is all about one thing: LOVE! Whether you are romantically entwined or reveling in singlehood, celebrate this month with some much needed self-love. If you want to show your love and appreciation to your spouse, dear friend or family member great experiences come from the heart. So, when was the last time you showed someone your love, appreciation and gratitude with all your heart? 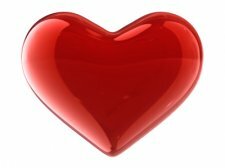 Valentine’s Day, a holiday that celebrates love, is observed on February 14th. We’ve put together affordable MASSAGE SPECIALS that will leave you and your loved ones feeling radiant, refreshed and LOVED! For more information, or an appointment, call Charleston Therapeutic Massage at 843-723-7005 or visit our website at www.charleston-massage.com. Limited time massage specials must be purchased by midnight, February 14th, 2012.